If your utility uses products to maintain and contain leaks or spills from pole mount transformers, substation pad mount transformers, valves, flanges or other places, try our products and see what a difference they make. If we don't have exactly what you require, give us a call at 800-999-1358. We'll work with you to customize a product that meets your specific needs. 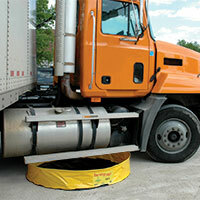 The Andax Transformer Sac™ was developed to assist you in dealing with leaking pole mount transformers. This product offers a complete containment solution from the pole to the repair shop... in one easy step. The ECO-SAC® is a reliable, reusable, environmentally responsible containment system for overhead pole-mount transformers. 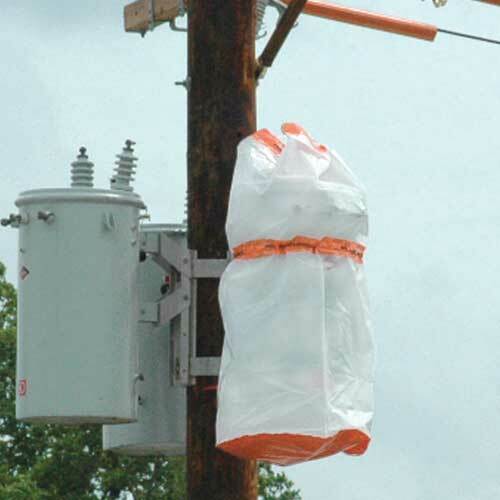 We also offer the easy-to-use Pole Wrap™ to protect linemen from dangerous and costly burns from caustic wood preservative chemicals used to treat line poles. Additionally, the Transformer Repair Pac™ (TRP) help streamline transformer repairs and the PCB/soil analysis kits suit every need. Please Note: Andax recommends you follow all safety regulations for transport of damaged/leaking transformers. When moving or transporting a transformer, it should always be lifted by the manufacturer-installed “lugs.” A transformer can be “bagged” to contain any leaking oils. However, DO NOT lift a transformer by the straps installed on FIBC bags, especially if the FIBC has been stored outside. Having the right tool for the job at hand is not only professional, but also safe. When you have to change out a pad mount, the right tool is an Andax Pad Mount Transformer Sac™. 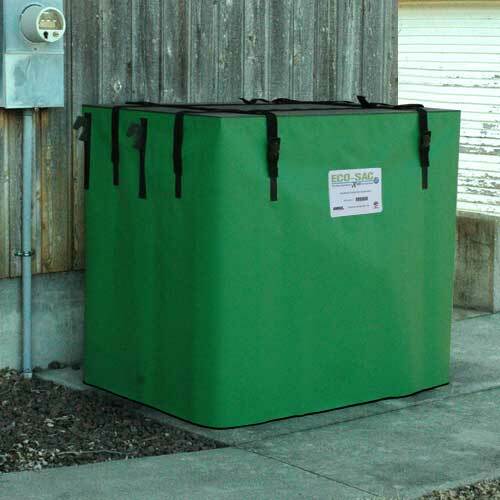 Designed specifically to fit pad mount transformers, this Transformer Sac™ offers containment from leaks and spills in the field. Simple to use, just slip it under the pad mount and pull the Sac up and around the transformer. We offer several options including the Pad mount with or without weather cap and Multi-Height that has built in adjustability for taller units. Choose from our standard sizes or call us and we will make one the size you need! Andax also offers a Transformer Repair Pac™ (TRP), Tank Trap™ and PCB/soil analysis kits to suit every need. Please Note: Andax recommends you follow all safety regulations for transport of damaged/leaking transformers. When moving or transporting a transformer, it should always be lifted by the manufacturer-installed “lugs.” A transformer can be “bagged” to contain any leaking oils. However, DO NOT lift a transformer by the straps installed on FIBC bags, especially if the FIBC has been stored outside. Are you tired of duct-taping pads around leaking valves? There is no need to! The Valve Sac™ is the solution: the new ideal containment system designed to encapsulate valves and control any leaks or spills! 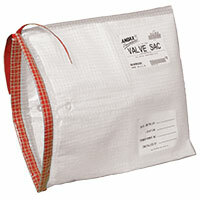 The Valve Sac™ was engineered to contain drips from leaking substation transformer valves or spigots. 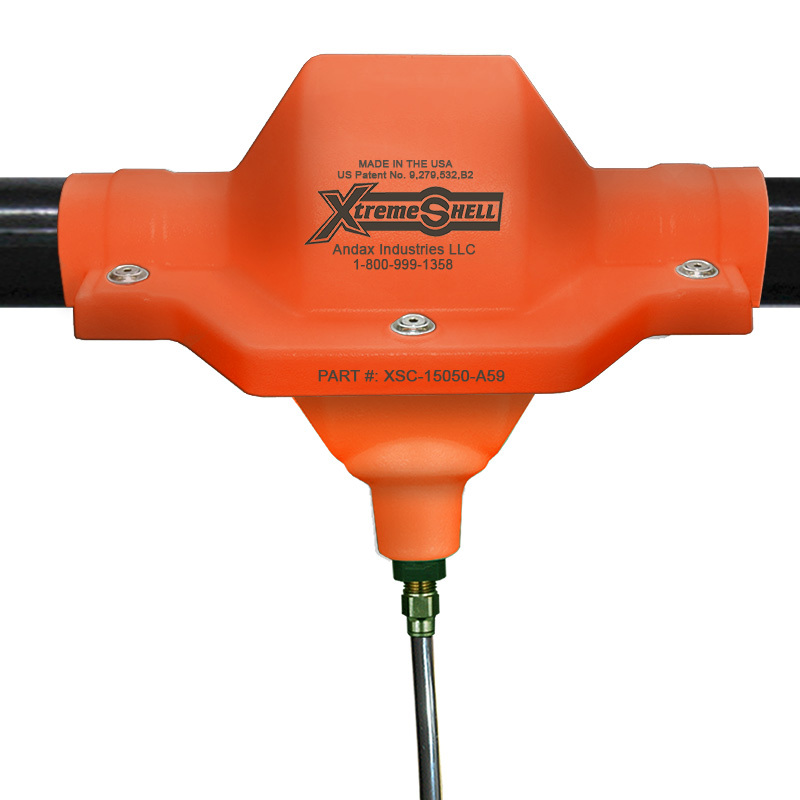 The Andax Xtreme Shell® Pipe Flange Containment System is a complete solution for fast and easy containment of a leaking flange, valve or any other connection point. Don't see a size that suits your needs, give us a call at 1-800-999-1358. We have rapid custom design capabilities available. Planning is essential but accidents still happen. Either way, be prepared with the best Andax leak and spill control products. Choose from our Tank Trap™, our award-winning Spill Control Preparedness Center™ - Spill Pacs, Spill Stations and much more. At Andax we build answers! So if you do not see exactly what you're looking for, let us know. We will help you find the product you need!